I never knew this before, and now that I know it, I feel compelled to send it on to my more intelligent friends in the hope that they, too, will feel edified. Isn’t history more fun when you know something about it? 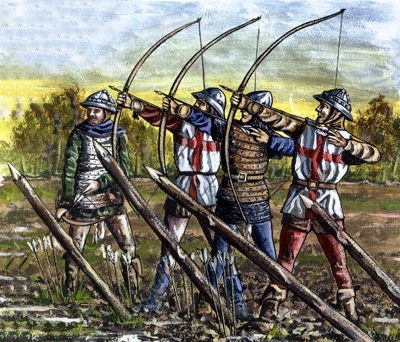 Without the middle finger it would be impossible to draw the renowned English longbow and therefore they would be incapable of fighting in the future.